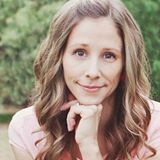 Free Summer Reading Printables – free printables to encourage Summer reading and make it fun! 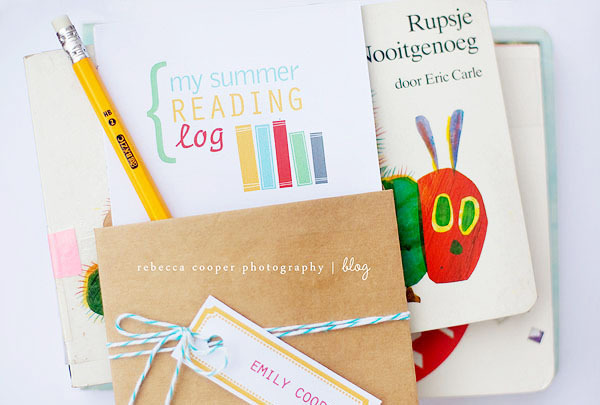 Includes reading log, coordinating book plates, bookmarks, “book worm” treat bag toppers PLUS a list of 50 Fun books to read this Summer! 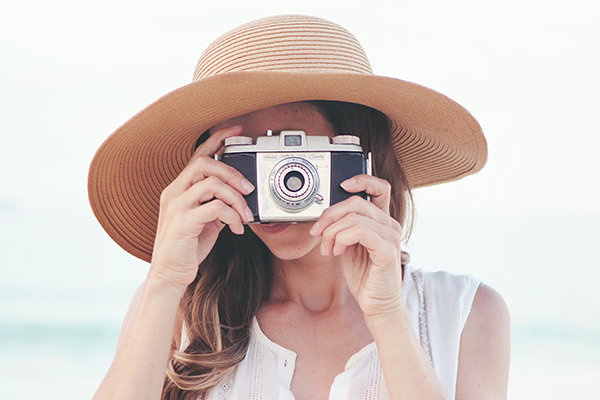 Summer and reading just go together, don’t you think!? My kids will be out of school soon and I’m already mapping out our Summer reading plan. 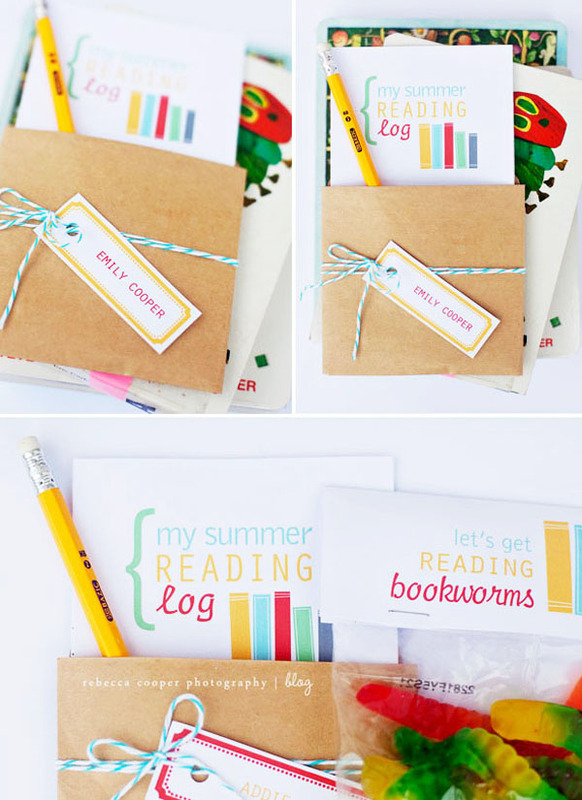 Reading is such a big part of our Summer and I put these simple reading logs together, along with some other coordinating printables, to keep the kids reading while they’re out of school and to keep it fun! 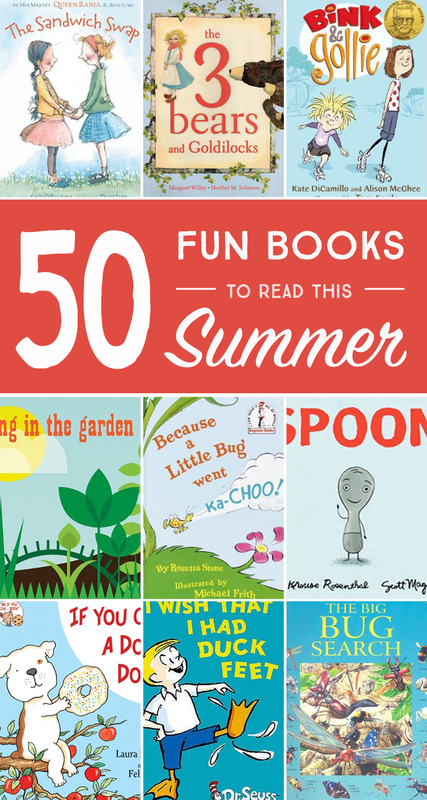 Below you’ll find everything you need to encourage your child to read this summer: printable reading log pages, book marks, book worm treat bag toppers plus a list of our top 50 Fun Books to Read this Summer! Download links are at the bottom of the post so keep scrolling if you’re looking for those. Step 1 | Download the Summer Reading Log printable using the clickable button below. Step 2 | Print out the Summer Reading Log, it’s a 4 page PDF file. Front and back cover are in color, the rest of the pages are black and white. I recommend printing the front and back cover on cardstock and the rest of the pages on regular paper. Step 3| Cut out the reading log pages using the trim lines provided. 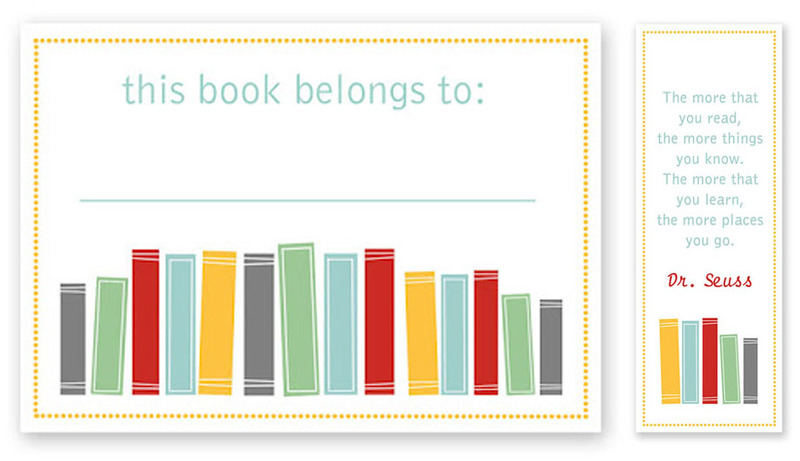 Step 4 | Pre-purchase library card envelopes or use this library pocket template to create your own. You will need to stretch the template a bit to fit the reading log pages. If you don’t want to use a library card pocket, simply hold the reading log pages together with a binder clip or punch a hole in the upper left corner and secure with a binder ring. Click the button below to download all the pages for the Summer Reading Log. 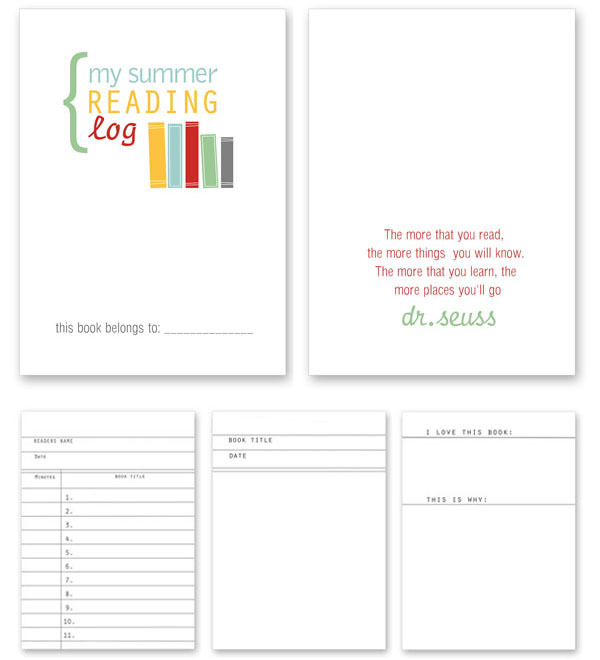 I’ve also included a few more printables that coordinate with the Summer Reading log including a set some printable bookmarks featuring one of my favorite Dr. Seuss quotes, customizable bookplates and some treat bag toppers. 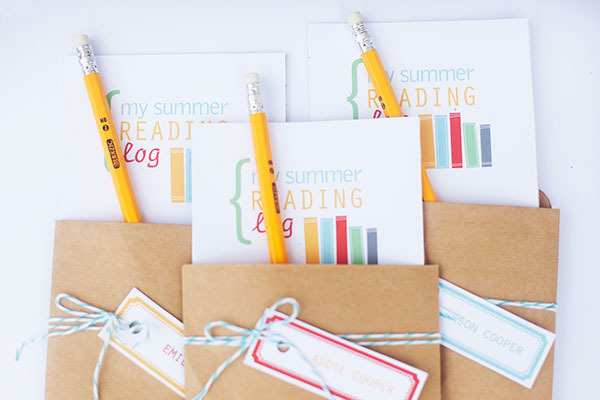 All of these would be fun to include in a back to school kickoff party or to use in a book club. 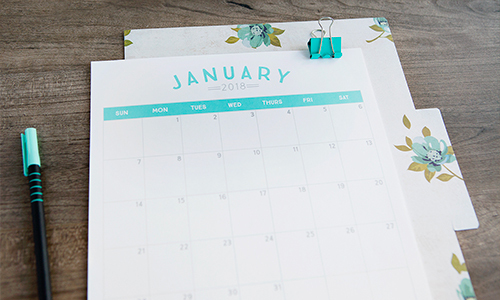 So many uses for these cute printables! Click the button below to download the bookmarks and bookplates. Click the button below to download the “let’s get reading bookworm” treat bag toppers. My son is too little (2) to understand the concept of a reading log. But those are some great recommendations for books to read, thank you! 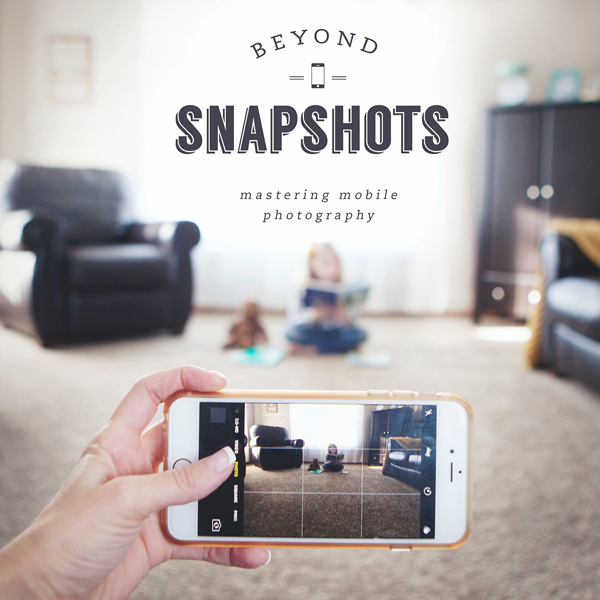 With four kiddos from ages 5 to 12 I’m very excited to use this for this summer. I want my kids to track their reading a little more this summer, so this is perfect! I will just add in some prizes for certain accomplishments and we will be good to go!